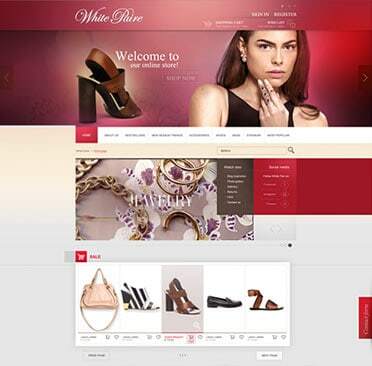 E-commerce is not about simply bringing your business online through a website. It is about growing your business through your professionally designed online presence and the insights it gives you into your clients’ needs. Shopify allows you to set up an online store to sell your goods, organize your products, customize your storefront, accept credit card payments, track and respond to orders — all with a few clicks on your computer or taps on your mobile device. Magento is the leading open source E-commerce platform and it is the perfect fit for businesses across Australia and the Asia Pacific region. 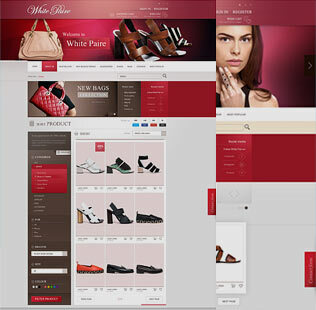 We make Magento Ecommerce Website meet the specific needs of your business. If you come to us with a very clear vision of the way you want your website to look, we’ll work side by side with you to come up with a unique design that is 100% your own. 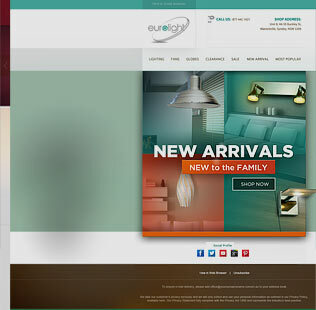 We also offer Custom WordPress Development & Custom Magento Development for you. All of our websites are specifically tailored to be search engine friendly for your business. We fully appreciate the need for organic traffic to your store and consider this a key element when putting together and maintaining your site. In one way or another social media dictates many of our daily interactions these days, we fully embrace this in order to make your website as integrated as possible across a wide range of social media platforms. We like to go the extra mile for our clients so we also utilise a whole range of e-commerce extras, including Wishlists, Loyalty Rewards, Newsletter Mail Outs, Coupon Discounts, Shopping Cart Price Rules and a whole host of other extensions that work to maximise your company’s website. With so much time spent on the go these days your E-commerce site needs to be mobile ready. At Creatrix we specialise in making sure your business looks professional and is equally easy to use on both big and small screens alike. Your logo and branding need to be spot on if you’re going to connect with your target market. Our decades of experience in this field mean we’ll help you come up with a whole new look if you feel things have gotten a bit flat. Most of the biggest brands in the world have some of the word’s most simple and easily recognisable logos. We never overcomplicate when looking to make your business stand out. Less is often a lot more. There is nothing to say that your brand cannot evolve over time and complete change up its logo and branding. A bit of change can inspire your existing customer base and draw in new ones. The last thing anyone wants to see when they look at your branding or logo is something that feels dated. We make sure all of our clients get fresh, vital designs that are in tune with your customers and the moment. Keeping it simple and being able to adapt are all essential, but you’ve got to have some style when it comes to logos and branding. We’ll work with you to make sure your branding and logo reflect your company’s personal style and individual personalty. We’re here to make the perfect website for you. Whether your company is a small start-up or a larger organisation we’ve got the perfect package to suit your needs. Your business is unique and needs to stand out from the crowd. We make sure this happens when we put together your website by giving you multiple choices and control over the design process. 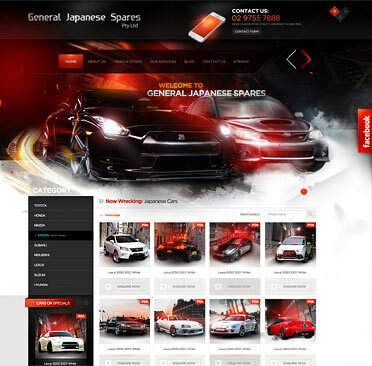 Think of your website as the face of your business. We’re here to make it beautiful and for it to always stay that way. In the design process we’ll work closely with you to produce an end-product that consistently impresses and defines what your business stands for. When working with you on your web design we won’t be afraid to look at who your competitors in order to see how they are presenting their own brand are and work out how we can make your business stand out from the crowd. We specialise in providing clients with our extensive experience with WordPress as a CMS (Content Management System). We do most of the heavy work but WordPress is an excellent source for clients who want to take care of some of the little tweaks on their websites for themselves. 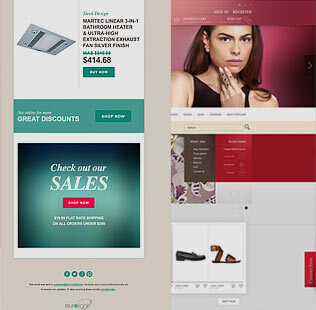 We make accessing your website and store through a mobile an easy and effortless exercise for your customers. We particularly focus on outline business strategy and market potential. We make sure that your mobile site is one that users feel comfortable with and can interact with without any fuss. Prototyping tools are used to demonstrate the behaviour and interaction of your mobile app. It’s not enough simply to have an app for your company. it needs to get into the hands of those users who will turn into customers. We’re specialists in making this happen for our clients. We measure and analyse exactly how your app is getting used so that we can continually look to make improvements that will make your customers more likely to build long-term relationships with you. 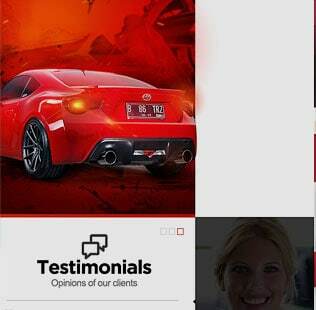 We optimise the app for increased conversions, retentions and enhance user experience. We work at your pace. If you come to us with a clear idea of what it is your business needs in terms of your company website, we’ll put all hands on deck and get it up and running within a time-frame that meets your demands. Never done this before and need to hand everything over to us? No problem, we understand what makes an effective website work and we’ll get everything in place and signed-off on in no time at all. That’s just what we do. If you feel that want more autonomy over the end product we’ll be happy to work with you as collaborators rather than just do everything for you. And our team will be on hand right the way through until you’re 100% happy with the end result. We fully understand the need for things to be done on time and at a fair price. Our work is always of the highest standard but we are also conscious that in today’s highly competitive market price matters so we bring you cost effective solutions every time. 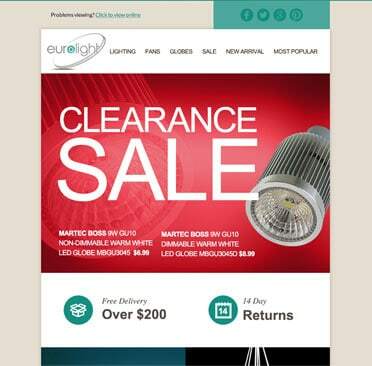 An easy-to-use shopping cart is essential for your website. We keep things simple, but multifaceted all at the same time. If you’re customers don’t trust this part of the process your business is lost. All of our checkout pages are secured by 256-bit secure socket layer (SSL) technology. This part of the process needs to be simple and fast. With our one-page checkout we make buying your products as simple as possible, saving your customers time and also proven to reduce abandoned purchases. Some buyers are put off from making a purchase when a site asks them to create an account when all they want to do is buy one thing. Our guest-account service means this never becomes a problem. If a buyer decides to pull out at the last minute, we will automatically send them an email just to double-check whether this was a mistake or not. Coupon codes can also be added i this email to give them an extra incentive to come back and complete the transaction. 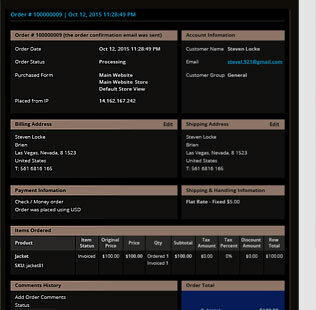 Our systems allow your customers to ship to multiple addresses when buying from a single shopping cart. Great function when purchases are being made for multiple people. Creatrix makes life simple for you and customers alike by automatically deducting taxes on international purchases. Products not eligible for tax can also be flagged up automatically. 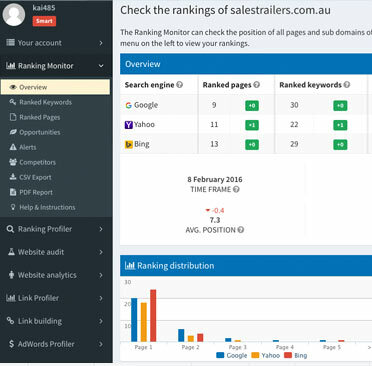 A centralised inventory system lets you always be on top of what you have in stock and can also be used to help define searches for your customers. When you are selling products that have variations in size and colour, our systems make it easy for your customers to choose exactly what it is they need. We’ll make highlighting your product variants a priority so that in turn they feel yours is an evolving, fast-moving business that always offers them choices. You need to know when to offer your customers an extra incentive to buy. Learning how to do this at the right is a great way to develop long-standing customer relations and turn indecisive buyers into sure-fire sales. We give you flexibility by allowing you to add your own product fields to the database so that you can store additional product data. At Creatrix we add and update your products using our built-in product manager, file imports or our API, so that you always know where you stand with what you have in stock at any given moment. 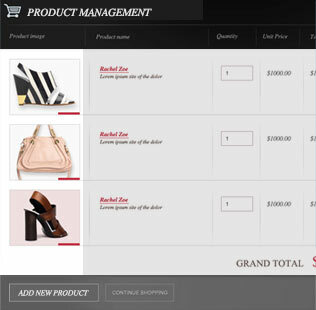 We can incorporate systems into your website that will automatically email you when your product stock sells out or reaches your set level alert so that you never end up having to let a customer down when they want to buy from you. If you’re a big business that needs to keep track of products across a wide range of warehouses our systems can easily be adapted to make sure you’re always in control of what you have, and where. Our fully integrated import/export system allows you to Import and export orders in bulk using our easy to use file drop system or API. In a ever faster evolving business market you need to make sure that your business allows your customers to pay for the products in their preferred payment method with no fuss. More and more people love the simplicity that using PayPal offers when they are ready to make a buying decision. We can seamlessly integrate this option into your payment section so that you reap the benefits. This option is ideal for those customers who like to make high volume transactions. The approval process is built directly into your checkout flow. Zip Money, Once Interest Free and After Pay supported. Again you need to move with the moods of your customers and allowing BPAY means customers can buy conveniently from their online or mobile bank. It also means you get your money faster! We give you the ability to setup a surcharge percent for specific payment methods. A small but vital tool when you are using multiple payment platforms. You need to look after your most trusted customers. Do this by allowing them to buy now and pay later (e.g. 14 days from date of invoice). Creatrix automatically generates monthly statements for account customers who qualify for this kind of service. It isn’t enough simply to sell to your customers, you need to develop relationships with them based on sound, reliable data. Your customers love to feel valued. With a solid CRM system in place you can keep in better contact with your best customers and reward them accordingly. We can help you store all of your customer data and transactions so that you can get a better overview of buying trends and always have quick, direct access to account balance, purchase and payment history. We can set you up so that personalised emails and communications can be sent out to specific customers based on their buying history or a sudden drop off in your dealings with them. With a solid CRM system in place we can let you offer your best customers special credit limits and invoice terms. This shows you trust these most important of clients and encourages them to keep coming back to do business with you. Overkill can be a problem when it comes to newsletters but many of your customers will be happy to receive newsletter updates just to let them know what offers you have available for them and what’s new in stock. Your customers want to know what you’re doing, but you need to give them this information in a light and fresh way that encourages them to click on the provided links and take a better look for themselves. By getting people to sign up for your newsletters by introducing a simple little box on your website, you’ll build up your customer database. A valuable tool that you will be able use to your advantage when it comes to targeting new business. And we have little tricks and tips to help you grow this database as we move forward. Certain times of the year will often represent peaks and slumps for your business. A good newsletter is the perfect way to subtly get in touch with your customers and let them know exactly what you can do for them at this traditionally significant point in the calendar. If you are not fully interacting with how your website manipulates marketing and SEO, you are not going to get ahead of the game. We’ll make sure this isn’t the case. We’re here to help you up your game when it comes to getting your message out there across multiple channels. Our specialists will make sure that your voice is heard and ready to trend! All we do is take the guess work out of marketing and SEO by fully understanding how your business can best take advantage of Google Ad. Our dedicated and experienced account manager understands your market and works hard to make it easier for new clients to find you. Our SEO specialist team are fully focused on generating better search engine results for your organisation. With features including, global CDN, customisable URLs, meta-data, canonical tags, XML sitemaps and more. We research keywords specifically for your business and its relevant marketing. This keyword research is key to gaining presence online. We monitor this 24/7 and revised whenever needed. We send out negative & positive keyword alerts along with our weekly transparent reports to keep you informed, every step of the way. By automating your listings and having complete control over your stock at all times we are able to make you stand out from what is a very busy crowd. 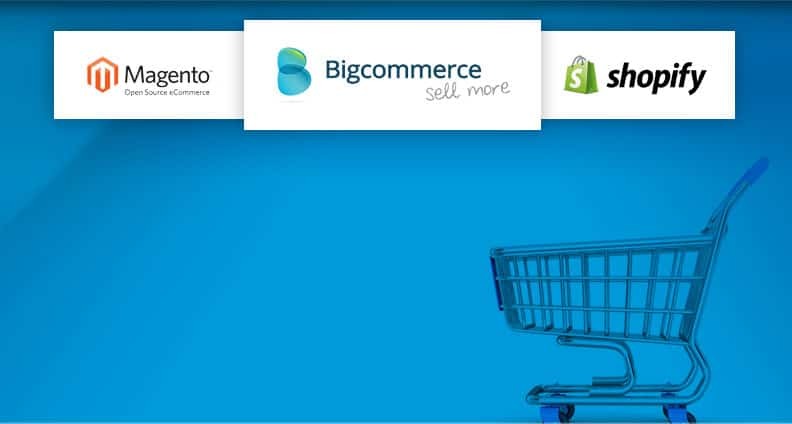 By integrating one of the world’s busiest e-commerce sites into your company’s website you immediately take a positive step forward and show your customers that you are in-tune with the way people like to buy and sell these days. If you want your product to sell on eBay you need it to be as professionally presented as possible. We’ll take care of this for you and make sure you have the edge over your competitors. We’ll seamlessly integrate eBay shipping into your business model. Something which is particularly useful for those companies who are in the business of receiving high volume orders. Ebay is a big world but our systems will make it seem small as we can make it fast and easy to list thousands of items in a matter of minutes. We’ll also come up with easy to complete templates to pre-fill your most commonly used information. Not everything has to be done at once. Our fully integrated eBay systems allow you to schedule hundreds or even thousands of listings each week or month. We’ll just set it up to suit you. With sound analytics and reporting systems in place Creatrix always provide our clients with a website that is always looking into the different ways that your business could be performing more optimally. Run order, payment, customer, inventory and other reports all in real-time. We can laos move over all reports to Excel if you want to look into things further. Custom report writing services are also an additional service which we can offer. For security and performance reporting purposes we’re able to log all of your staff’s actions for you. This helps control wide reneging aspects of your business including, account reports, sales commissions, and warehouse picking. Get your website connected to the world’s leading analytics platform and you’l have the power to track all of your website traffic, real-time converse rates, transactions, and web traffic. By working in real-time you will always be on top of your inventory management reports. Our systems can place new orders based on historical data and future projections. We are 100% committed to keeping your business safe and employ only the most stringent security measures to keep you and your customers completely safe and secure at all times. All of your customers are issued with their own SSL certificate for their own domain name, keeping their information completely safe from any prying eyes. Our servers are hosted in a world class facility and managed by our full-time IT operative based in Australia. Our guy is constantly monitoring the safety of our clients’ websites. The third-party service Pingdom also monitors the availability of your website from many locations worldwide. If you ever have any reason to believe your business and its customers are under kind of threat we offer 24/7 security support to offer you complete peace of mind at all times. We constantly run checks to make sure your business is completely safe and sound. We also keep track of these backup checks for 30 days so that you can roll back over them at any time. At Creatrix we offer a 24/7 support network so that you always feel in control of what is going on with your website. Whether by email or over the phone we have a dedicated team ready to respond at any time to any issues you have with your website and its upkeep. We want to share our knowledge with you and help you to understand exactly how it is that we are going to make your business more successful. We’re here to help setup, launch, and grow your business for you. For clients who are interested in learning more about the way we work, we are able offer private training sessions that can be attended by multiple members of your company’s team. We want you to feel as much a part of the process as you need to be so all of our clients are invited to take up a free personal training session in order to talk you and your team through the ways we are going to develop and grow your website. © 2016 Creatrix Web Development & Online Marketing Solutions Pty Ltd. All rights reserved.